Try on the most "kawaii" (cute) hairstyles from Tokyo! 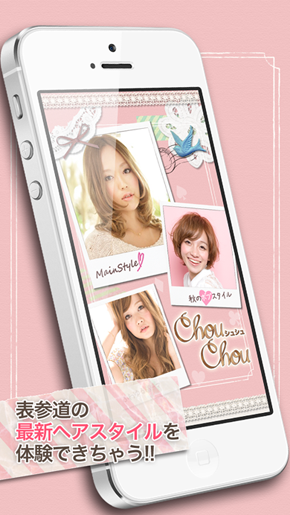 ChouChou can instantly show how you look with your new chosen hairstyle. Take one photo, and find out the best hairstyle for you in minutes! See how to use ChouChou to try new hairstyles. ・Super realistic 3D animated simulation from only 1 photo! ・Easy hair makeover with natural grace! ・Great variety of high quality hairstyles! ・Get each season's most stylish hairstyles from 'NORA', one of the top hair salons in Tokyo! 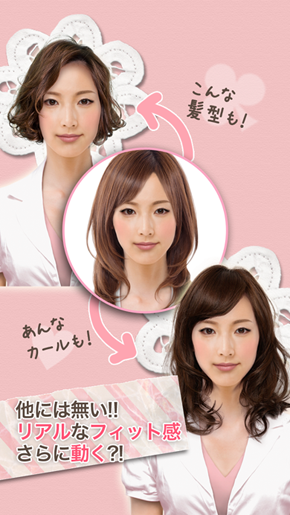 ・Easily adjust hair volume, and color! 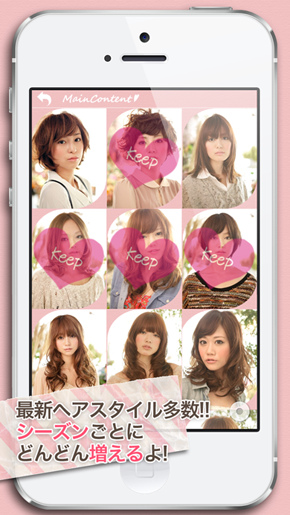 ・Save and share (with Facebook/Mixi friends) your favourite hairstyles! ・Frame and decorate your photos before sharing! This app is a collaborative project with the famous hair salon "NORA". It aims to show the world MotionPortrait's high technical capabilities, and Japan's hottest hairstyles.